Rossotti Ranch is a family owned and operated ranch specializing in pasture raised veal, all natural grass fed goat, and limited quantities of duck and chicken. We produce some of the most humane and highest quality meat available in the United States, and all our animals spend their entire lives in the beautiful rolling grasslands of west Marin and Sonoma Counties, about an hour north of San Francisco, and just a few miles from the Pacific Ocean. The Rossotti’s story begins in the mountains of Switzerland, well over a hundred years ago. 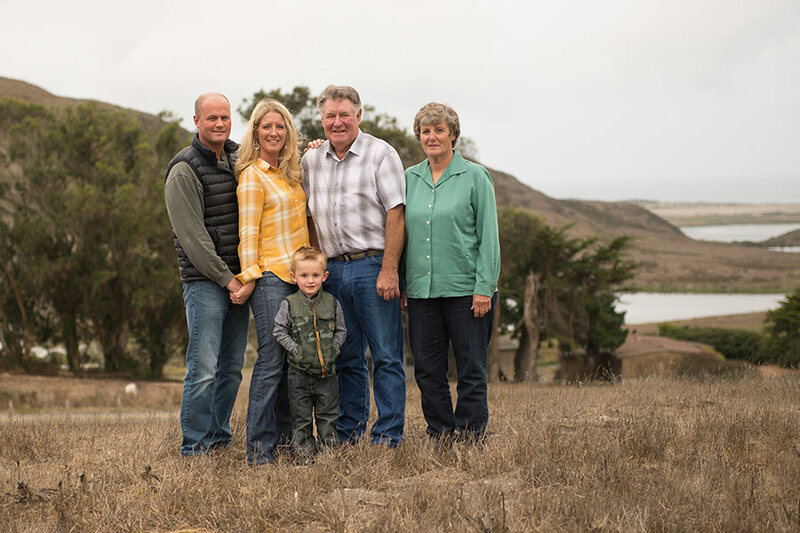 After immigrating to the United States in 1892, Julie and Tony Rossotti’s great great grandfathers worked side-by-side to establish the ranching community of west Marin. Today, Julie and Tony continue the ranching traditions of a combined nine generations to produce some of the most humane and sustainable pasture raised veal, grass fed goat, as well as duck and chicken, available in the United States.